Slice the apple thinly and pat dry. In a medium bowl, add apple and olive oil. Mix evenly. 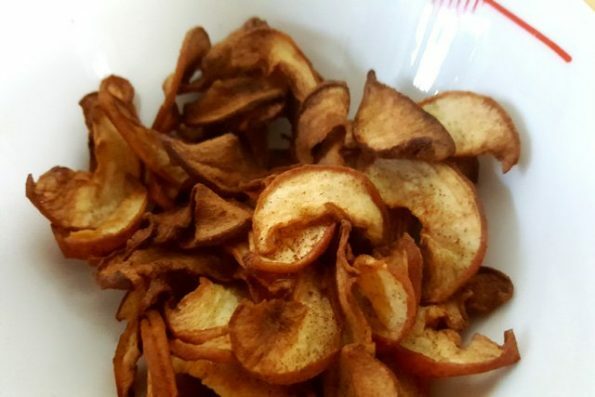 Place apple slices into air fryer basket. Cook for 20 minutes. Shake the basket every 5 minutes.